The week of June 23rd was a good week for gophers in San Francisco. Go was a big part of Google I/O on Wednesday and Thursday, and on Monday we took advantage of the large gopher population to run the Go SummerFest, a special instance of the GoSF meetup. This blog post is a recap of both events. The State of Go, (slides and video) by Andrew Gerrand. I was wrong, again! (slides and video), by Derek Collison. Something about Go (no slides), by Blake Mizerany. 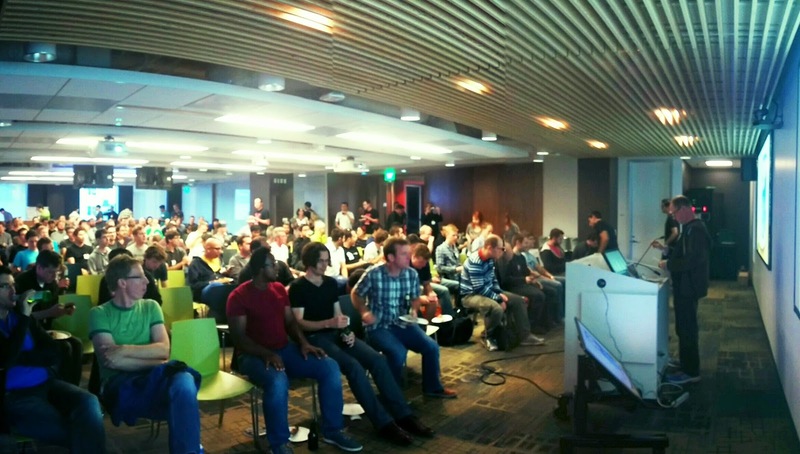 More comments and pictures from the event are available on the meetup event page. 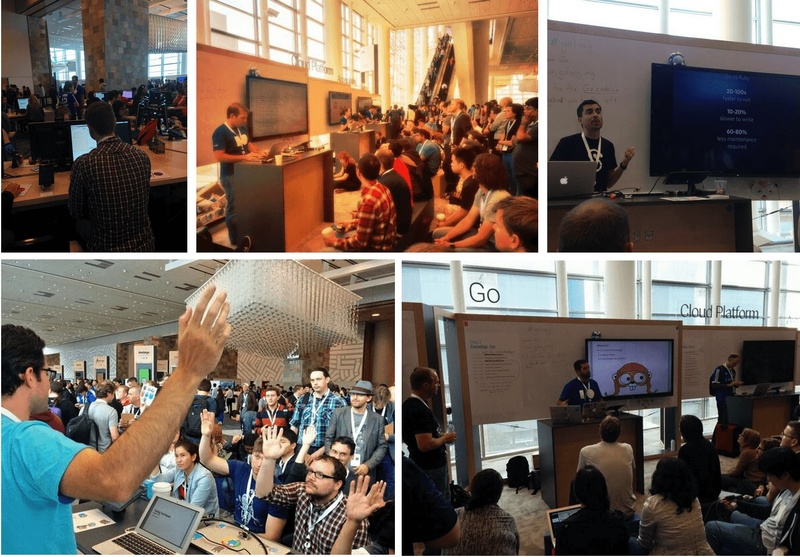 On the Wednesday and Thursday, Go was at Google I/O in two different formats: the Go booth in the sandbox area and the Go code labs available in the code lab area and all around the world through I/O Extended. The Go booth was part of the Developer Sandbox area. For the two days of the conference, some gophers from Google and other companies gave a series of talks and demonstrations. The talks were not recorded, but the slides and some screencasts and blog posts will be shared soon. Brad Rydzewski talked about his project drone.io. Barak Michener presented Cayley, an open source graph database. Matt Aimonetti discussed how Go is used at Splice. This year attendees of Google I/O had a code lab area with self-service computers where they could sit and learn Go. The code labs were also available to anyone through the Google I/O extended brand. You can try it yourself at io2014codelabs.appspot.com.